Please join us for our annual Holiday Awards Banquet! 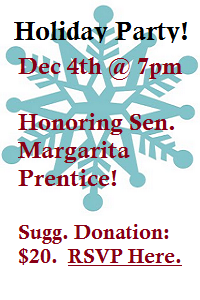 Senator Margarita Prentice will be hour honored guest. There’ll be good food, a discussion about the election results, and fun.